Kai Rönnberg packed the MBA study materials along, and contacts with fellow-students remain close despite the distance. Hang on, Ill just run up to the car, Kai Rönnberg answers the call in the same situation as so many other times before. However, this time hes running to his car on the other side of the world, in Sydney, Australia, where he has relocated. His employer Outotec offered him a new position in early spring that comes with more responsibility, and a chance to see the world and the mining industry from a new angle. Rönnberg eagerly jumped to the chance. We catch up at the end of May, when he has been busy in his new position for five weeks. He has a clear view on his life change already: Feels good, damn cool. He packed the MBA study materials along, and contacts with fellow-students remain close despite the distance. When the new job and imminent move were confirmed, Rönnberg wondered how well he would be able to combine studies with it all. According to the plan drawn up with Aalto EE, Rönnberg will be graduating together with the rest of his MBA group at the beginning of 2018. Studies took on a faster pace in Finland just before the move. He had his work cut out for him with the Managing Growing Enterprises module in March: I scraped through the course preoccupied with the move, finding it difficult to concentrate. But despite self-doubts and a number of work trips, Rönnberg passed the course with good grades. He reminisces on the previous Leading Change module, explaining how he has been able to apply the lessons directly in his management work from day one. Rönnberg has a new title of Vice President, Services, South East Asia Pacific, which in addition to management responsibility comes with profit responsibility. In addition to leadership training, all the lessons from the Finance module come in use, says Rönnberg. So far, Rönnberg has managed to squeeze in one day off in his agenda. In the near future, he hopes to leave hotel life behind and move to his own place near the beach. Also days off, seeing more of the country, and golfing are on top of the wish list. 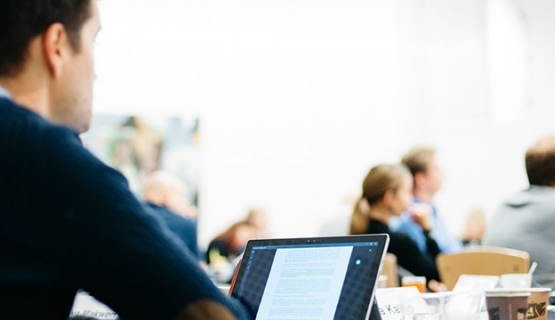 With the spring term modules behind him, Rönnberg wont be returning to his studies until August, when he will take part in the Aalto Executive Summit in Singapore and complete two modules at the same time. Ive now put studies to the back of my mind, but will be returning full swing in August. In the fall, he still has remote studies and the Business Simulation challenge in Helsinki ahead of him. Woops, I need to turn over there! It seems I still have some learning with the traffic over here, Rönnberg takes a turn to the hotel and wishes a good summer. He has three minutes to take a shower before a meeting. A happy summer it is! We will catch up with Rönnbergs studies and life in Australia in August.